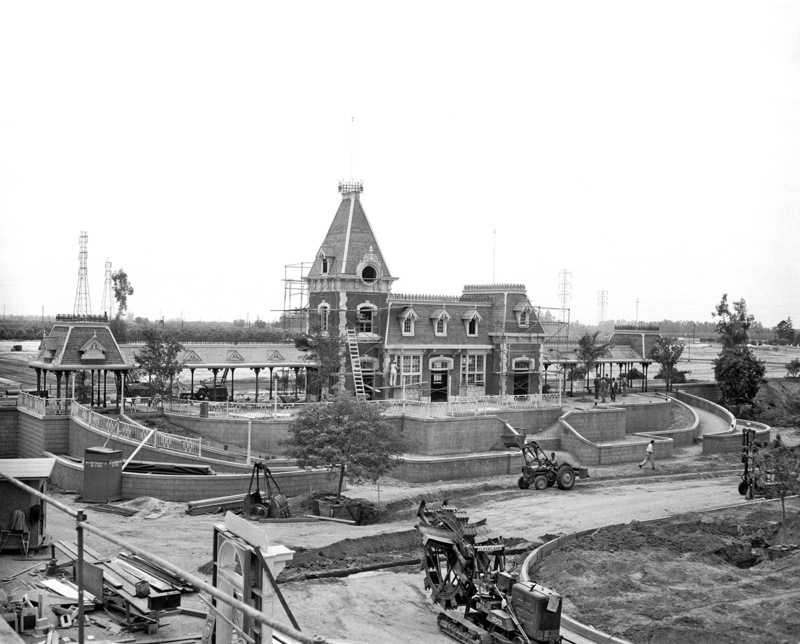 Continuing our look at Disneyland park during its construction, today I’m sharing two very rare photos of Main Street Station, the popular starting point of your “grand circle tour” aboard the vintage trains of the Disneyland Railroad. This image was taken as the framing of the building was far enough along to recognize the train station we know today. Just over one month later, the progress is stunning. I can practically hear the bell ringing and the whistle blowing as the train approaches. You’ll notice that the clock tower doesn’t have a clock yet. 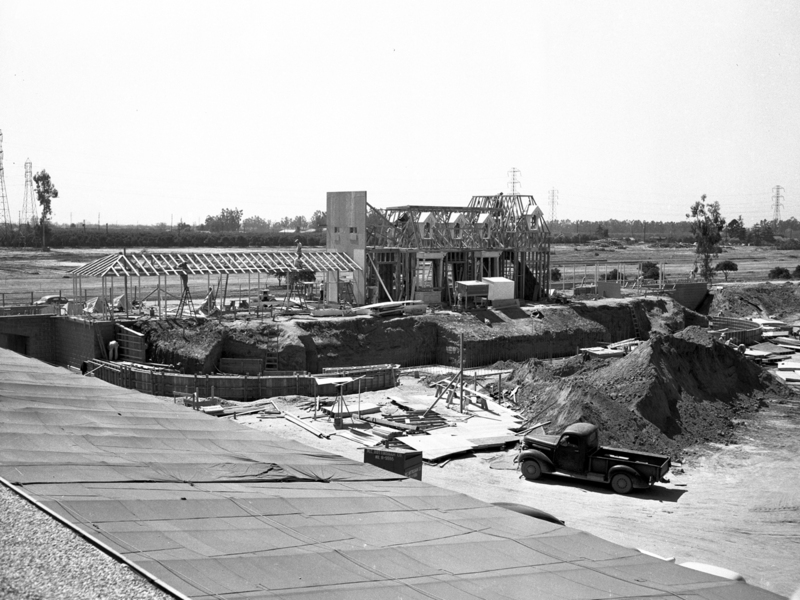 In our next “construction update” you’ll see why that’s a very good thing.